Alice Magnus was born on February 16, 1932 in Adrian, Minnesota to Adolf and Grace Van Dyke Muller. In 1946 the family moved to a farm north of Slayton, MN. Alice attended Slayton High School. On April 12, 1950 she and Clarence Magnus were married at the Slayton Presbyterian Church. Following their marriage they farmed east of Avoca, MN until 1962, they then purchased a farm east of Slayton. Alice owned and operated Magnus Music Store in Slayton. She also taught countless students how to play piano, organ and accordion. In 1987 they built a new home just west of their farm. Alice and Clarence spent many winters in Mesa, AZ. They enjoyed traveling and visited many different countries. Alice especially loved her travels to Holland to visit family. Clarence passed away on May 15, 2010. Alice then moved to Slayton and in July 2015 Alice moved to Maplewood Court in Fulda, MN. Due to a stroke in May 2017 Alice moved to the Maple Lawn Nursing Home. Alice passed away at the Sanford Medical Center in Sioux Falls, SD on Friday November 9, 2018 at the age of 86. 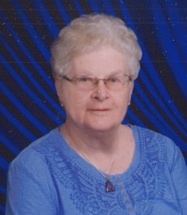 She was a member of the Slayton Presbyterian Church where she served as organist for over 30 years, directed senior choir, taught Sunday School and Bible school, was a youth leader and active in the ladies aid. Alice also was a member of Eastern Star and the Red Hat Ladies. Alice enjoyed spending time with her family, playing piano and organ, fishing, playing cards, dancing, traveling, gardening and canning. Survivors include her five children and their spouses, Douglas and Brenda Magnus of Sioux Falls, SD, Pat and Luther Onken of New Prague, MN, Norma and Darrel Meyeraan of Fulda, MN, Kathleen Magnus of Vero Beach, FL, and Julie and Randy Johnson of Sartell, MN, 12 grandchildren, 17 great-grandchildren, one great-great-grandson, and six sisters-in-law, Frances Guild of Slayton, MN, Mary Lund of Slayton, MN, Evelyn Vogel of Currie, MN, Dorothy Balfanz of Dundee, MN, Rosie Rogers of Worthington, MN, and Lucille Magnus of Avoca, MN. She is preceded in death by her parents, husband, Clarence, three bothers, Fred, Jake and John Muller and one sister, Anna Mae Hassebrock. Christ Lutheran Church in Slayton, MN on Wednesday, November 14, 2018 at 10:30 a.m. with Pastor Dave Hollis officiating. The pallbearers are her grandchildren. Interment is at Slayton Memorial Gardens in Slayton, MN. Visitation will be on Tuesday, November 13, 2018 at Christ Lutheran Church in Slayton from 4-7 p.m. and also one hour prior to the services at the church on Wednesday.